Saudi ambassador says his country will continue to use force to stop Houthis from making advances in Yemen. The Saudi military will continue to use force to stop the Houthi rebels from making advances in Yemen, the Saudi ambassador in Washington said on Wednesday, according to Reuters. His comments come despite the announcement on Tuesday of an end to the Saudi-led air campaign. "When the Houthis or their allies make aggressive moves there will be a response. The decision to calm matters now rests entirely with them," the ambassador, Adel al-Jubeir, was quoted as having told reporters. 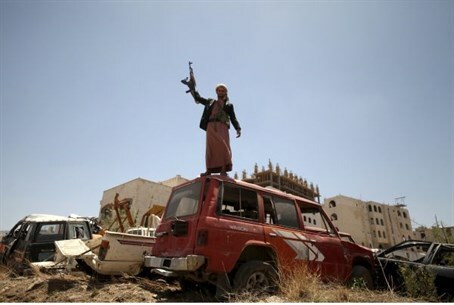 He said Saudi forces, which were reported to have carried out at least 12 airstrikes in southern Yemen on Wednesday, were ready to stop any Houthi advance into the port of Aden. The White House also commented on the issue, welcoming Saudi Arabia's decision to halt the airstrikes and urging talks to end the crisis in Yemen.